Billy Casper Golf's presence in Hawaii is expanding. BCG, the nation's largest domestic owner-operator of golf courses, has been selected to operate Kauai Lagoons Golf Club, which was recently acquired from Marriott Vacations Worldwide by Hawaiian developer Ed Bushor in a deal for a 700-acre master-planned oceanfront residential community. 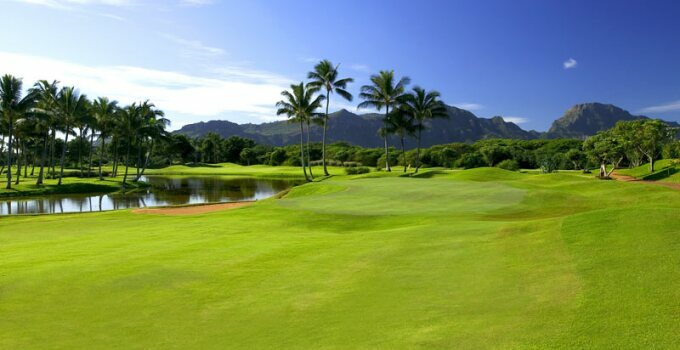 Kauai Lagoons is the only course on the island of Kauai designed by Jack Nicklaus and boasts one of the longest continuous stretches of oceanfront holes in the Aloha State. Needless to say, Billy Casper Golf is thrilled to bring its turn-key, end-to-end management to the 27-hole facility. "Golfers relish Kauai Lagoons for its strong course design, tranquility and panoramic ocean views," said BCG chairman and CEO Peter Hill in a statement, as reported by the Pacific Business News. "Billy Casper Golf will inject new programming and special events to add excitement to guest experiences."